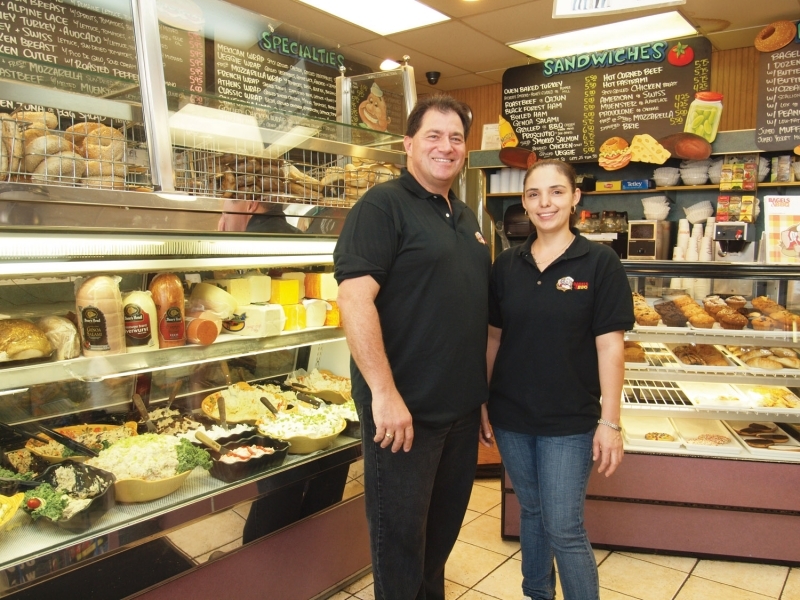 Dennis Pariti owned bagel stores for more than 20 years. In 2004 he opened this Garden City Park location where he offers 26 varieties of water boiled bagels, all crusty and delicious. There are also numerous kinds of spreads and salads, all made fresh on premises. In addition they bake their own muffins and serve over-stuffed sandwiches, all for very reasonable prices. The line is out the door on most weekend mornings. It was a traditionalsuburban bagel store in the best sense of the term. Then Dennis had the idea of adding a hickory-burning smoker andBagels & BBQ was born. A crazy mix you might think. Customer reviews have been fabulous and the concept has really taken off. Portions of tangy BBQ ribs, chicken and pork are huge and the flavors are gigantic. Dennisis very particular about the ingredients that go into making his dishes andit shows. He’s also particular about customer service and will accommodate your requests. If you call and place a special order, they’ll make it for you. We sampled many of their BBQ items. The pulled pork sandwich,is marinated in their special sauce and slow cooked for 12 hours. It wasmelt-in-your mouth delicious. All dishes come with 2 sides. Our favorites were the sweet potato fries and garlicky mashed potatoes. Dennis and his staff also have an active catering business for breakfasts, lunches and dinners for your home, office or organization. They’ll even cater your outdoor BBQ so you can enjoy your guests on those balmy summer days.